Successfully Added Xiaomi Redmi Note 5A Android Phone - Android 7.1.2, Octa-Core, 3GB RAM, 5.5-Inch Display, 16MP Camera, 4G, Dual-IMEI to your Shopping Cart. If you’re looking for an affordable Android phone that treats you to the latest smartphone features, the Xiaomi Redmi Note 5A is perfect for you. This cheap smartphone runs on the most up to date Android 7.1.2 operating system. This means that you’ll be able to engage in the latest Android features the smartphone industry has to offer. Along with its Octa-Core Snapdragon processor and 3GB RAM, the phone delivers all the power needed to tackle games, Apps, and movies. No matter how demanding your smartphone needs, the Xiaomi Redmi Note 5A is sure to meet them all. With Dual-IMEI numbers, this Android smartphone treats you to great connectivity. It allows you to slide in two SIM cards and lets you stay connected to both at the same time. This makes the Xiaomi Redmi Note 5A perfect for those of you who wish to separate work and private life into one smartphone. The phone furthermore supports 4G mobile networks, meaning that you can browse the web at lightning speeds no matter where you’re at. Whether you’re at work, in the park, or traveling abroad – with this Android phone you’ll always stay within reach to loved ones and colleagues. On the phone’s stunning 5.5-Inch HD display, you’ll be able to enjoy your favorite films and series in crisp 720p resolutions. The phone holds 32GB internal memory and supports an additional 128GB external storage via its SD card slot. This provides you with plenty of space to store all your files and media. Thanks to an ultra-fast fingerprint scanner, you’ll now be able to access all your files with the simple touch of a finger. For all smartphone photography lovers among us, this Xiaomi phone comes with a professional-grade 16MP camera that lets you capture breathtaking pictures and Full-HD video. 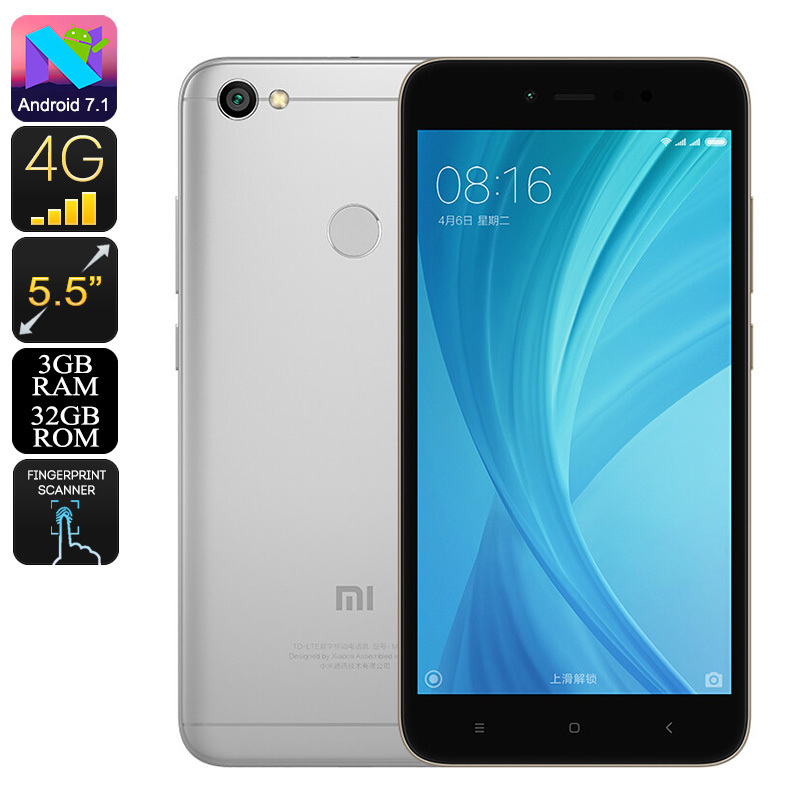 The Xiaomi Redmi Note 5A Android Phone comes with a 12 months warranty, brought to you by the leader in electronic devices as well as wholesale smartphones..